Play these football games in this World Cup 2018 Russia! 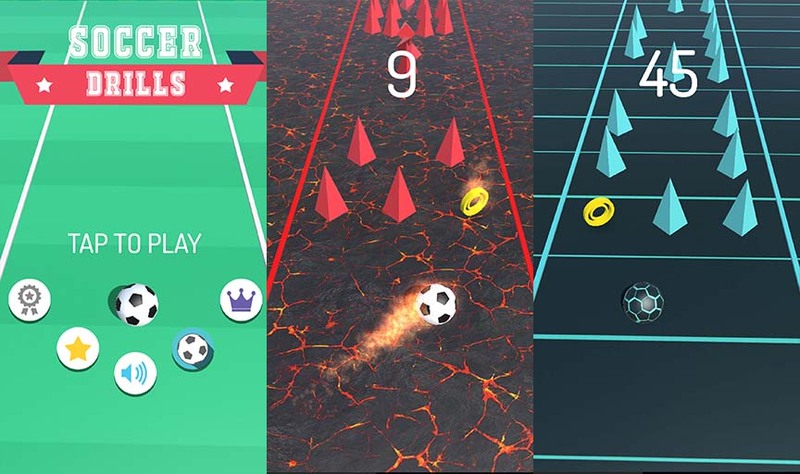 Soccer Drills is a unique game that has the apparent simplicity of a single tap game but also cleverly engineered to be difficult enough to make it challenging to players of all skill levels. It’s the hunger and feeling going back to the game and trying to score more that made is so popular. Players are presented with newly designed soccer balls and playing fields as they progress higher within the game challenges. There is growing community of engaged players who don’t feel shy in sharing their scores via the leaderboard. The ability to collect coins and using them to unlock balls and playing fields makes Soccer Drills even more exciting and immersive to the players. 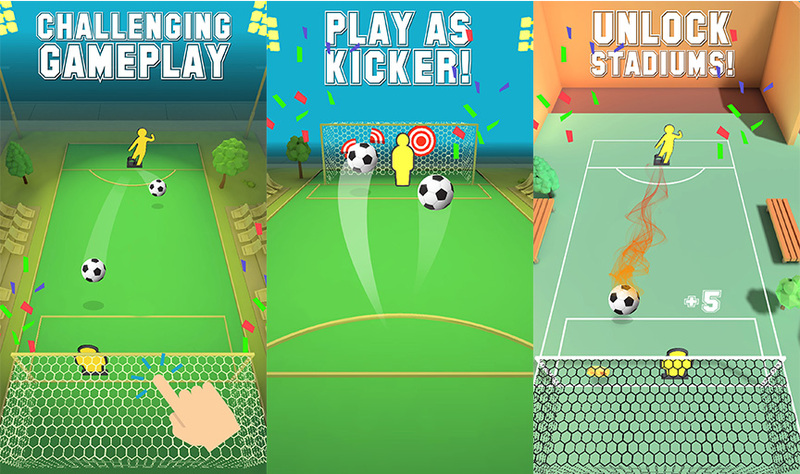 Penalty Shootout Vs Goalkeeper is a simple soccer game where you can play as a goalkeeper or a penalty shooter. Goalkeeper's challenge is to keep the soccer ball out of your nets. Penalty shooter’s challenge is to shoot to the target and score by swiping on the screen! Because of iOS Metal graphics library it renders on iPhone very smoothly. It supports iOS 11. With the help of Game Center users can easily share their high score and unlock exciting achievements! 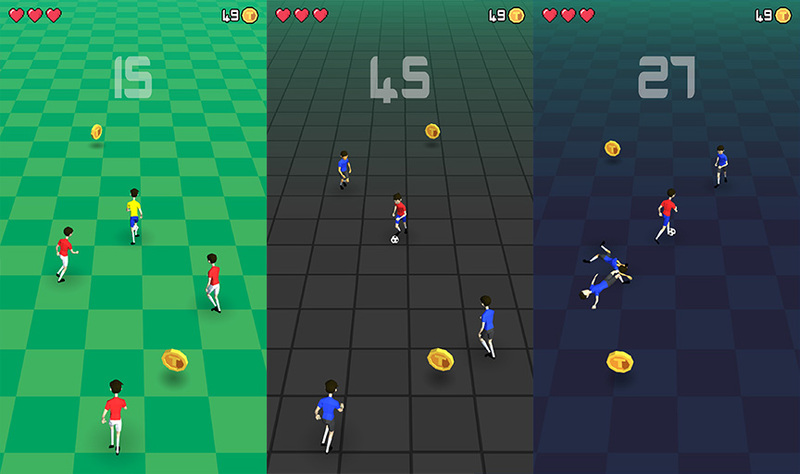 Soccer dribble is a simple soccer game where you have to dribble and avoid other players from collision. It is a very simple but addictive sports game and great for kids and everyone. Fool the opponent with your dribbling skills and earn points as much as you can. It is based on real soccer physics with cheering audience included. With minimalist control enjoy this awesome gameplay.